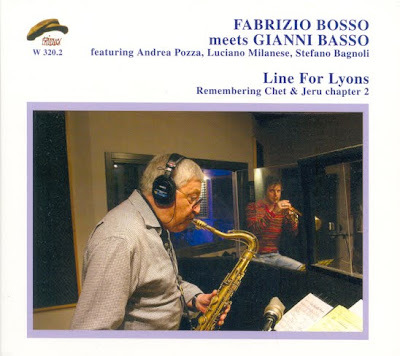 Gianni Basso can be unequivocally regarded as one of the most significant historical figures of Italian jazz. His music shows how to play in the tradition, without ignoring the force of the evolution of jazz, and without rejecting the most advanced experiences free, as evidenced by the music of this LP, recorded for Aldo Sinesio in Rome, february 1973. Listen "Bloom" and "LA VALLE DELL’AMORE," the two tracks of Bruno Tommaso present in both LPs, or the free track "ALEX", and then tell me if this giant of jazz hasn’t reinvented everything, from avant-garde to the mainstream. 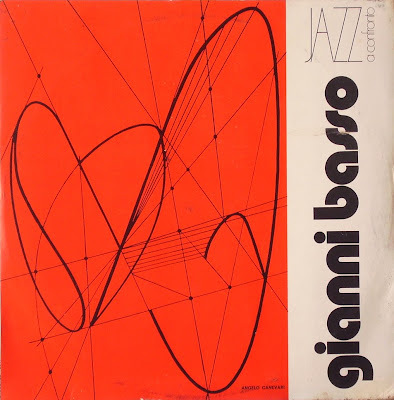 Another example of his great music is documented on "HIT" , recorded in Milan two years later, available now at Carosello-Jazz from Italy Blog, where Gianni engages, for the first time, the soprano sax. Born in Asti in '31, his professional activity began in Belgium in 1946, with the militancy within the Raoul Falsan Big Band, where he distinguished as clarinetist and tenor sax. At the same time as playing with different musicians in Europe and U.S., especially in Germany and Austria. In '50 Basso leaves the Falsan Orchestra and returns in Italy, where he founded along with Oscar Valdambrini, the prestigious "Basso-Valdambrini Quintet", a very special combo, leader of italian jazz for many years . 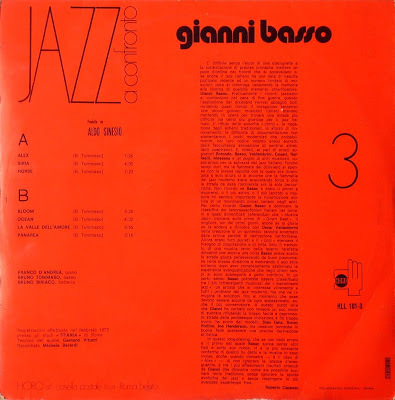 During his long and varied career, Gianni Basso has collaborated with extraordinary artists, the most representative of the jazz of all time, from Billie Holiday to Lionel Hampton, Chet Baker, Gerry Mulligan, Lee Konitz, Joe Venuti, Art Farmer, Johnny Griffin, Zoot Sims, Buddy Colette, beyond to having an intense record activity, both as leader and as a sideman. 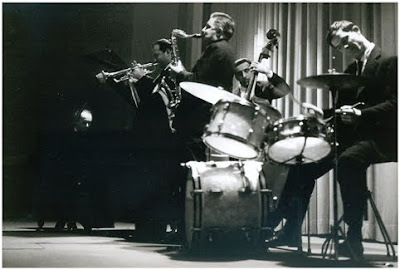 Of particular importance is the militancy located in some of the most prestigious international orchestras: as the big bands of Maynard Ferguson, Kenny Clarke / Boland Francis, Thad Jones, Lalo Schifrin and more. In the late '70s he founded the band Saxes Machine and subsequently fronted the Gianni Basso Big Band. In his later years, he played with some of the rising stars of jazz, as Fabrizio Bosso and Andrea Pozza, recording his unique music for Philology, by Paolo Piangiarelli.